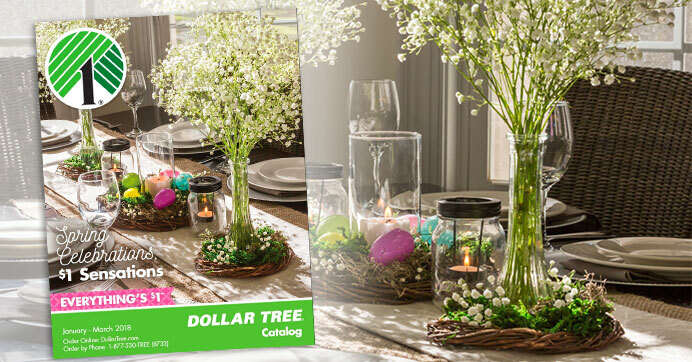 Have you checked out Dollar Tree’s new spring catalog yet? 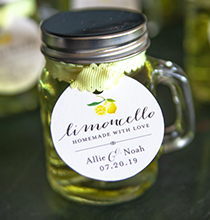 We’re kind of obsessed… it’s one you don’t want to miss! Not only is it filled with tons of awesome and affordable spring items, the cover of this issue is gorgeous. It features two show-stopping, tree-like centerpieces made with baby’s breath and craft supplies from Dollar Tree. The best part is that you can recreate this breathtaking spring tablescape for just a few dollars! Hard to believe? Well, I’m here to tell you it’s true! We had so much fun creating this Pinterest-worthy look and I know you will too. 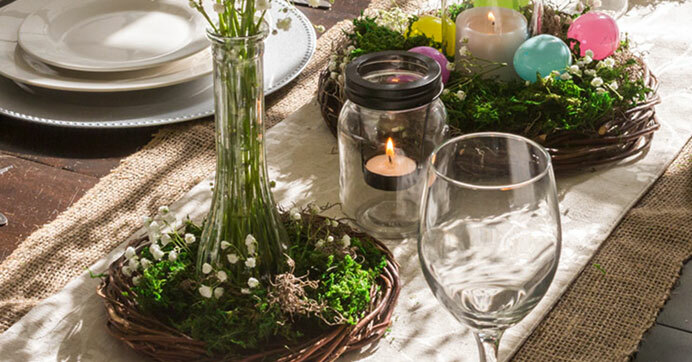 Follow the steps below to decorate your own rustic centerpieces for any spring wedding or celebration. 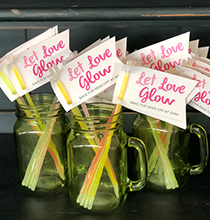 Don’t forget to stock up and save on the rest of your event table settings including $1 wine glasses, water goblets, charger plates, stoneware dinner plates, side plates, and flatware. Shop this entire look online! Place the willow wreath form flat in the center of your event, reception, or dinner table. Place the glass bud vase in the middle of the wreath form. Fill the vase with long-stem faux flowers or real flowers and water. We recommend going simple and using baby’s breath! 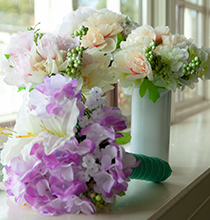 Separate and fluff the flowers to create a tree-like arrangement. Surround the outside base of the vase with floral moss and more baby’s breath, arranging everything inside of the willow wreath circle. If you’re looking for even more elegant inspiration, check out our other wedding reception tablescape idea. Create your own DIY centerpieces and table settings, and share your pictures with us using the hashtag #dollartreestyle on Facebook and Instagram!